CINCINNATI – The Queen City, self-proclaimed chili capital of the U.S., could have been considered the capital of fine dining 50 years ago. In the mid-1960s, three of the eight top-rated restaurants in the country were located here. New York had two. Over time, the Maisonette became the city's brightest star. Make that five stars. The elegant French restaurant on Sixth Street, owned and managed by three generations of the Comisar family, became the longest running Mobil Five-Star restaurant in North America. It held the distinction for 41 straight years (1965-2005) at a time when the Mobil Five-Star award was the highest honor a restaurant could get. In some years, fewer than 10 U.S. restaurants got one. 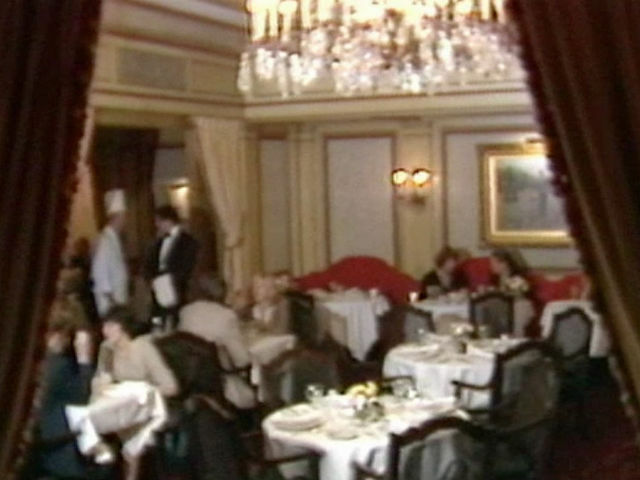 Through the '60s and '70s, Cincinnati actually had three five-star restaurants with The Gourmet in the Terrace Hilton hotel on Sixth Street and Pigall's on Fourth Street. By the mid-80s, those two had slipped to four stars, but Cincinnatians could still gloat that we had a five-star restaurant and L.A. and Chicago did not, and that we had more three-star restaurants (22) than those two cities. A five-star restaurant meant "one of the best restaurants in the country," according to the Mobil Travel Guide. Four stars meant "outstanding – worth a special trip." Three meant "excellent." 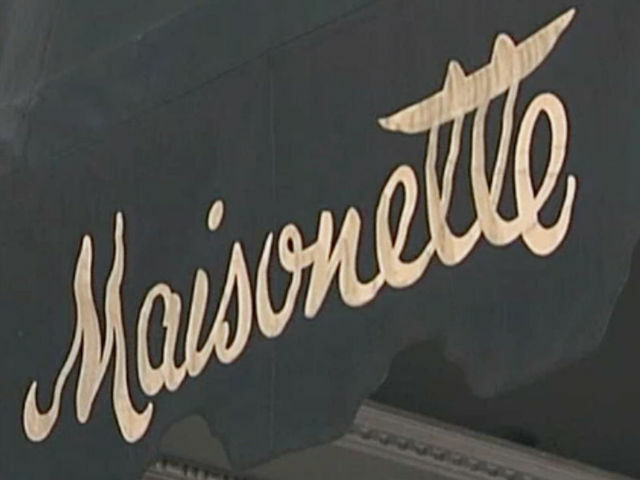 Critics gave the Maisonette's noted chefs, George Haidon (1971-93) and Jean-Robert de Cavel (1993-2002), most of the credit for its long run of excellence. It's funny to think of the city where people lived on cheese coneys, three-ways and LaRosa's pizza as a center of fine dining. Many Tri-Staters never ate at the Maisonette and for a host of reasons - it was intimidating, they didn't like French cuisine or couldn't read the menu or wine list, it was too expensive, the dress code was too restrictive. Men had to wear a coat and tie, though that was relaxed over time. Truth be told, 50 percent of the Maisonette's customers were out-of-towners here on business or vacations or because they were drawn by his restaurant, Nat Comisar said. Still, residents here took pride in the Maisonette, like they do in the city's sports teams, world-famous arts and zoo and Fortune 500 businesses like P&G. That's why it was a sad day on July 25, 2005, when Comisar announced that the Maisonette had closed. It had been in the same building, between Walnut and Main, since 1949. He locked the doors after close of business Saturday night without telling his staff. They got the bad news when they came to work on Monday. Customers found out when they came to the front door and found a note taped on it. It didn't come as a big surprise, though. Comisar said his business was hurting following the 2001 riots and a recession, and he had been asking the city for $4 million in assistance. The city refused. Mayor Charlie Luken said Comisar wanted the money to pay off family debts, not to shore up his business. Comisar denied that. Three months earlier, Comisar had announced he would move the Maisonette to a planned new development in Sycamore Township, a half-mile south of the bustling Kenwood Towne Center, in 2006. He said he wanted to modernize the restaurant and attract a new and younger clientele. But some city officials thought he was just threatening to move to the suburbs to force their hand. Comisar had said he planned to keep the Maisonette open downtown until he moved. But the development deal in Sycamore Township was up in the air. Many township residents were opposed to rezoning the property. After closing the Maisonette, Comisar held a news conference there that Monday and said the delay in finalizing the development had drained his cash and forced him to close. That also meant closing the family's popular La Normandie Grill steak house in the basement next door. That marked the end of an era. The Maisonette never moved – the zoning board wouldn't OK plans for the development. The Terrace Hilton closed in 2008. Pigall's closed in 1990 and underwent several unsuccessful reincarnations until de Cavel reopened it with restaurateur Martin Wade in 2004. They won five four-star awards until they split in 2009. But despite losing three five-star dining spots, the restaurant scene in Downtown and Over-the-Rhine is thriving like never before. Two years ago, De Cavel opened his fourth restaurant - a fine-dining French restaurant called "L" in the Great American Tower at Fourth and Broadway. Cincinnati still has top-rated fine dining at Orchids at Palm Court in the Hilton Cincinnati Netherland Plaza. It's the only Five-Diamond restaurant in Ohio as rated by AAA. Boca moved into the Maisonette. Sotto replaced La Normandie. Dozens of new restaurants have helped bring people to the urban core in greater numbers than ever.